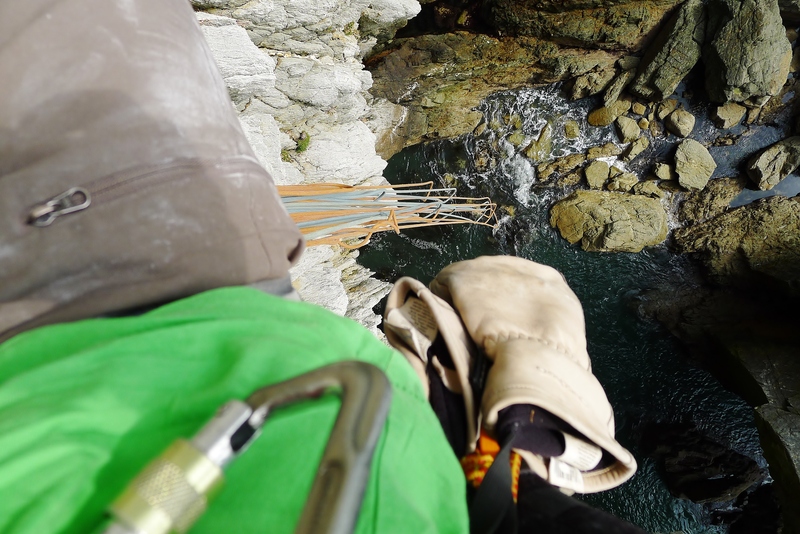 I uncoiled my ropes with trepidation the first time I climbed at Gogarth. The cliff’s reputation had got to me despite the relaxing atmosphere in the warm evening sunlight, waves lapping gently below. I remember seeing Ben Pritchard going off around the corner, video camera in hand, ready to film Tim Emmet attempting ‘Extinction’. Our ambitions were much less extreme, although I’m sure I felt the same butterflies as Tim when I set off up the first pitch of ‘Gogarth’. The easy first pitch preceded a sustained struggle up the traditional cracks and corners found higher up the route. As I pulled over the top onto the steep grassy slope my sense of relief was balanced with a feeling of elation and I immediately felt the draw to return to Gogarth for the next adventure. Wales is spoilt for good sea cliff climbing. There are currently ten definitive guidebooks covering all the different areas. But Gogarth is still the pre-eminent coastal venue. 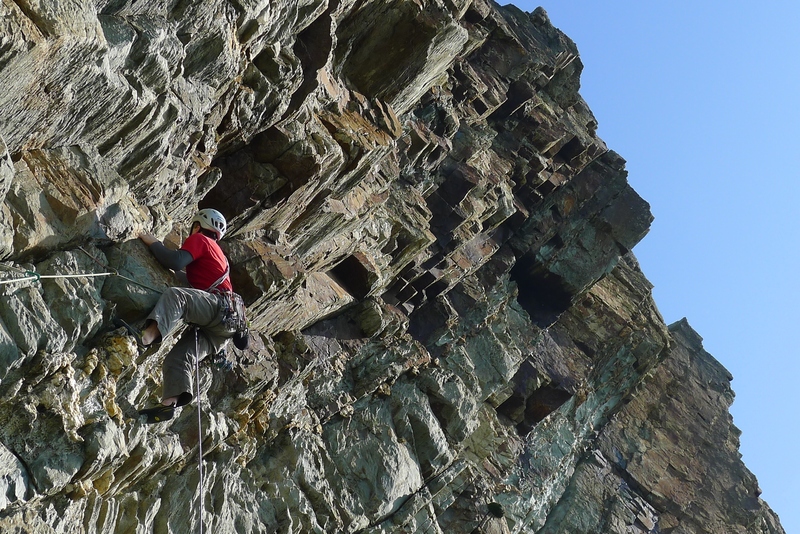 Pembroke may have some truly amazing climbing, but it lacks that extra element of commitment on offer at Gogarth, whilst over on the Lleyn Peninsula there are plenty of committing offerings but often without the same quality of climbing. Gogarth also has its own micro climate due to its position on the tip of Anglesey and is generally a safe bet when Snowdonia is being slammed by torrential rain! My first encounters with Gogarth were a revelation after my apprenticeship in the slate quarries. It was a raw experience for me, getting pumped and scared above a swollen sea, all those different factors playing on my mind. This was in stark contrast to the controlled and thoughtful movement that climbing bold slabs and walls in the mountains had taught me. To focus on the climbing alone at Gogarth seemed to be outside of my bandwidth. The exposure, the chatter of seagulls and the pungent smell of guano exacerbated a rising panic in me, when combined with bold climbing, that was almost overwhelming on my first few visits to the crag until I became better acquainted with the Gogarth vibe. My earliest adventures at Gogarth were certainly my most memorable. Climbing many of the classics such as ‘The Strand’, ‘Emulator’ and ‘The Cad’ for the first time are memories that I will never forget. On each of these climbs I would reach the top both mentally and physically exhausted but also buzzing with the warm glow of success buoying me up for the following few days. 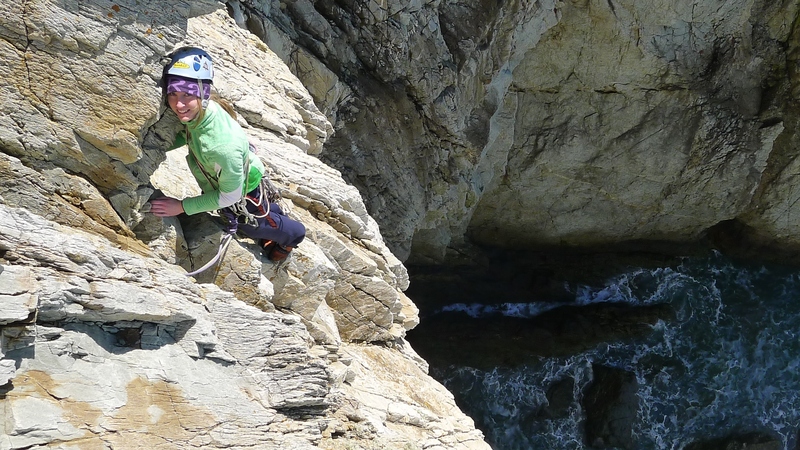 Even now, having climbed at Gogarth regularly over the last five years, I still enjoy re-climbing the classics, or discovering the many under-rated gems that were so often first climbed by the likes of George Smith or Stevie Haston. Recent jaunts have led me to discover the delights of some of their routes such as ‘Mister Softy’ and ‘Free Stonehenge’; well protected and extremely ‘out there’ offerings that should be on the list of anyone operating at the grade. This period also coincided with a couple of outside broadcasts on the BBC- first ascents were made in front of huge audiences with some impressive footage of Brown dangling from the ‘Spider’s Web’ and new lines being forced on Red Wall such as the appropriately named ‘Television Route’. The late seventies and early eighties were an exciting period for Gogarth seeing new routes sprouting left, right and centre. Standards had started to rise quickly and Jim Moran, Pete Whillance, John Redhead and Ron Fawcett lapped up the bold walls and strenuous cracks as well as freeing many of the aid climbs of the sixties and early seventies. Routes of particular note were Moran’s ‘Barbarossa’ and Redhead’s ‘The Bells, The Bells!’, both of which are still considered to be major challenges for the modern generation, especially now that the pegs on them have deteriorated into useless extrusions of rust. 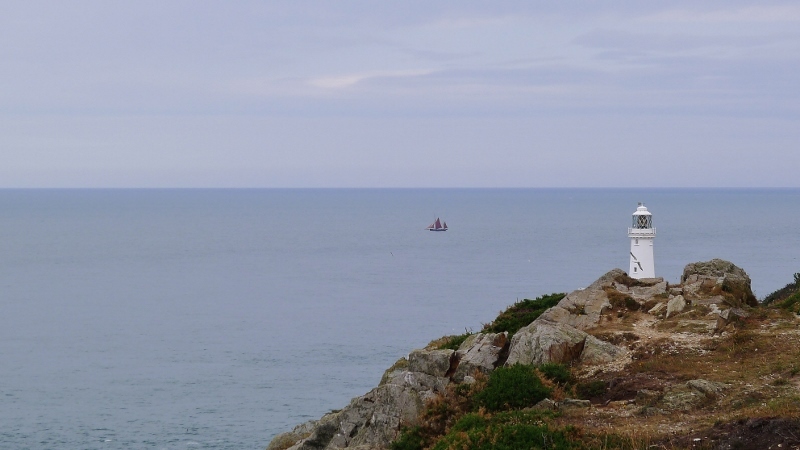 The development of North Stack Wall was one of the most significant steps of this period and perhaps outlined future ethics for the sea cliff. Fawcett made the first ascent of ‘The Cad’ but in so doing placed two bolts and a peg to safeguard his passage up this lonely wall. 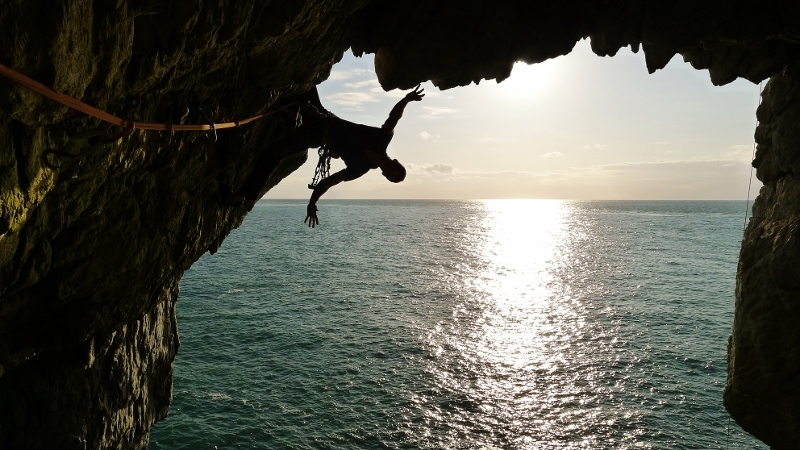 The first bolt and peg were quickly eliminated and subsequently removed but the remaining bolt stayed in place until a young Nick Dixon climbed the route without it. 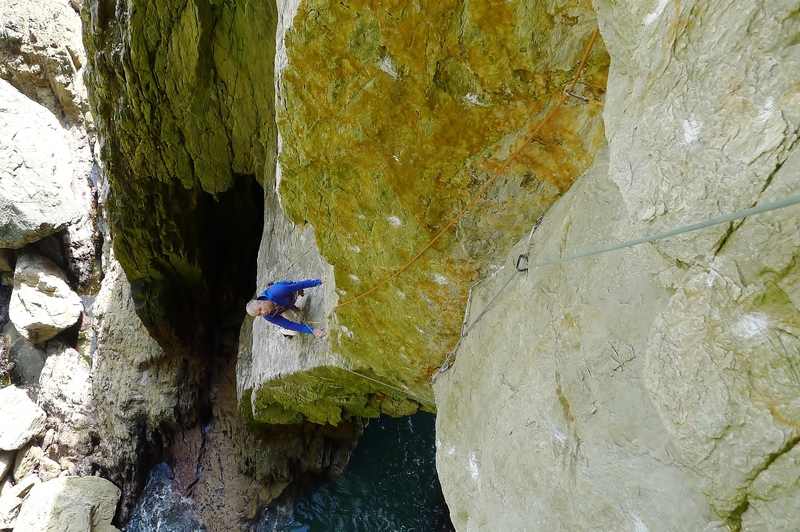 As if to prove a point, Jim Jewell then soloed the route later that same year and since then there have been no real moves to place bolts at Gogarth. George Smith spoke of how Haston had been an inspiration to him “leading the way” with new routes such as ‘Angel Dust’ that breached a new kind of territory previously left untouched by the former developers. These new lines tackled the unlikely looking roofs and overhangs that had previously been deemed too hard or too loose. Surprisingly many of these roofs and overhangs are very featured making them relatively amenable for their angle but often requiring creative techniques to get between holds. This new era of development was perhaps epitomised by the new lines climbed in and around Wen Zawn, already home to the Dawes masterpiece ‘Conan the Librarian’. Smith, in his own words, described having an instant “fixation” with the back wall of Wen Zawn and rushed to climb the routes thereabouts. Both ‘Mister Softy’ and ‘The Mad Brown’ tackle outrageous and committing lines where escape would prove to be problematic with an abseil directly into the sea. Neither route has seen many repeat ascents which is a great shame as they do cover some of the most impressive ground found at Gogarth and are surprisingly relatively safe propositions. Many of Smith’s routes remain unrepeated to this day such as the stunning looking ‘Ultraviolet Exterminator’ which Smith described as a personal favourite. 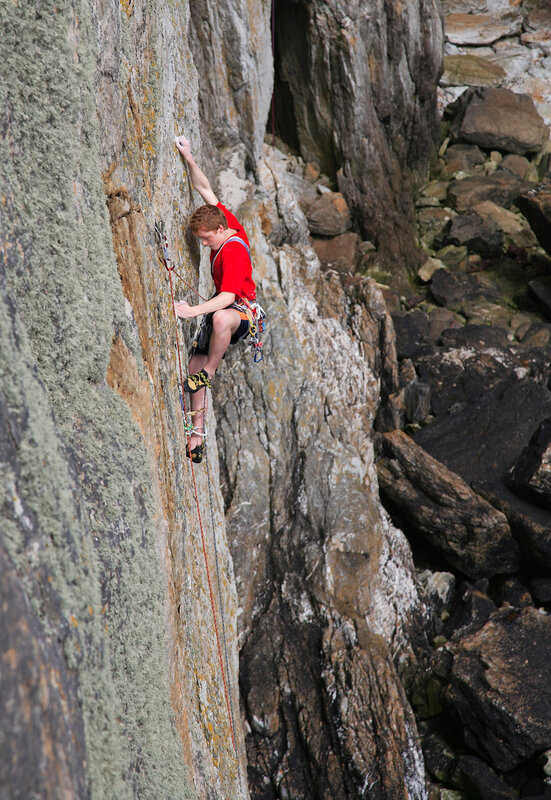 So what’s left for the modern generation of Gogarth climbers? Well there are still stacks of impressive new lines to go as well as many unrepeated routes to get stuck into. The list of classic climbs seem to be ever growing and will surely keep Gogarth popular for many years to come. 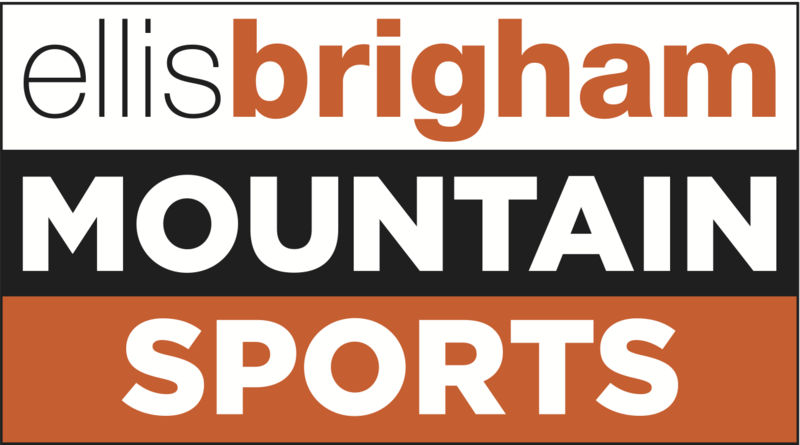 “I think this is the most important issue in British climbing at the moment. The last fifty years have seen short sighted climbers bash pegs in all over Gogarth, like they’ve done all over the world. “I don’t think hammered-in protection has a place in British trad climbing nowadays. I couldn’t justify placing protection that I knew would rot away in a few years, filling the placement and discolouring the surrounding rock. I also think that it makes trad climbing more dangerous as it’s difficult to assess the quality of protection that you haven’t placed yourself. Whatever your thoughts surrounding the debate on fixed gear, Gogarth has retained its atmosphere, its adventure and its unique charm both for both first timers and old hands. Gogarth remains a forcing ground for the modern climber, in much the same way that it was for the likes of Boysen, Crew and Brown in the 1960s; its enduring qualities and potential will continue to challenge and inspire climbers for generations to come.